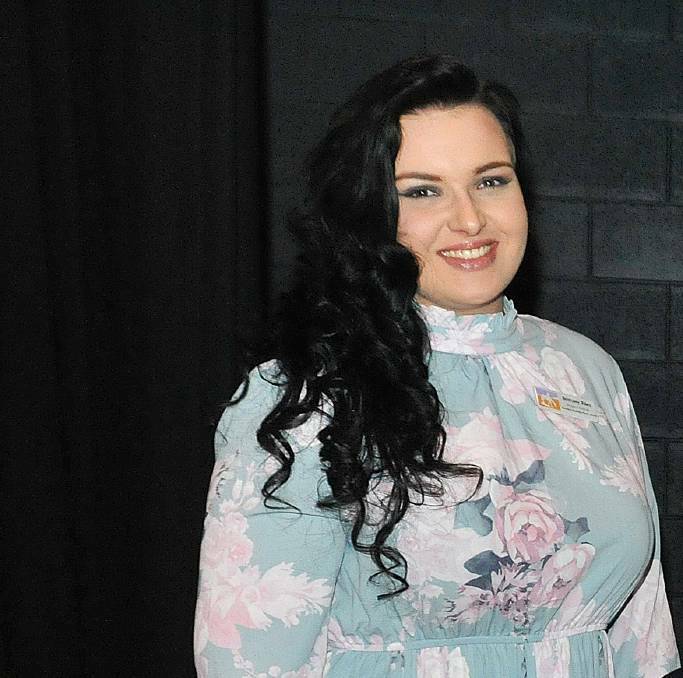 Gunnedah’s Brittany Riley is catching her breath after a “whirlwind” year. It was Ms Riley’s first year at the helm of the Dorothea Mackellar Poetry Awards, with Friday’s awards presentation the culmination of months of work. Ms Riley took over poetry awards officer position from Ruth Macaulay in February and said it had been a good “learning experience”. “I fee like this has been a whirlwind,” she said. The young woman said it had been a “rewarding” and “challenging” experience to prepare for the 34th awards, which saw author James Knight return to his childhood home as a guest speaker. “Everyone raved about James Knight’s speech,” Ms Riley said. “All the parents came up to me afterwards and said what a great day they had. Ms Riley said it was great to introduce the David Maher Award this year for small schools. The inaugural award was won by Hope Job from Booligal Public School for her humourous poem Narn’s Boots. “I think it was a really special experience for her,” Ms Riley said. Poetry entries for 2019 will open in March.